INNOVAVENT is focused on the development and manufacturing of Laser-Optics-Systems for crystallization, annealing and dopant activation applications, which are integrated by system manufacturers for the display, semiconductor and solar cell industry. 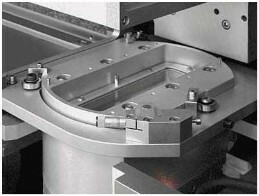 consulting for integration of laser processes into manufacturing. Our focus is on applications of solid state lasers at 266 nm, 343 nm, 355 nm, 515 nm, 532 nm, 808 nm and 1064 nm for thermal processes from cw to the ms and ns range. Most of these applications involve silicon and other semiconductor materials. Activation of dopants for CMOS image sensors and IGBT power devices as well as crystallization of amorphous films for 3-dimensional circuits are the most important ones. INNOVAVENT is located in the North of Göttingen. 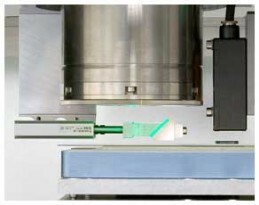 Demonstration of 50-100µm Flat Top profiles for SLA with 10µm steepness. Innovavent demonstrates ELA periodical grain patterns generated in the application lab with SLA (Solid State Laser Annealing, 343nm) of a-Si films for TFT plates of AMOLED-displays. 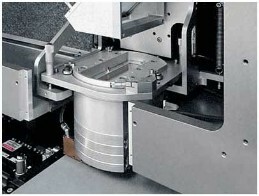 Line Beam optics include DC+ and DC optics to enlarge the DoF (depth of focus) of Line beam Optics. INNOVAVENT introduces the new VOLCANO LB 750UV Laser Optics. Innovavent moves the main office to Reinhard-Rube Str. 4 in Göttingen and increases the total office, manufacturing and lab floor to 1500m². INNOVAVENT introduces the new VOLCANO 250UV Laser Optics. INNOVAVENT moves into additional offices and laboratories (220m²) at Laserlaboratorium Göttingen e.V. The new VOLCANO LB 750G is assembled and operated with the high power Procyon g1600 532nm solid state laser developed by Powerlase Photonics Ltd.
INNOVAVENT ships the first production unit VOLCANO® 100UV laser lift-off system from a larger order to an Asian customer. INNOVAVENT introduces the VOLCANO® LINE BEAM product based on fiber coupled green Powerlaser DPSS - Lasers providing a line length of up to 750mm. INNOVAVENT becomes independent of JENOPTIK in August 2011. JENOPTIK and INNOVAVENT are continuing the technical cooperation for JenLas® ASAMA lasers and high performance projection lenses. EO Technics Co., Ltd., Anyang, Korea and Kahlert Technology GmbH, Göttingen, Germany are the new share-holders of INNOVAVENT GmbH, Göttingen. The change from the sole shareholder Jenoptik takes effect on August 1st, 2011 and EO Technics joins on September 6th. The product range is further enlarged by the new LAVA® CW laser optics technology. INNOVAVENT introduces the JENOPTIK high power JenLas® ASAMA thin disk laser as a key component of VOLCANO® and LAVA laser optics. 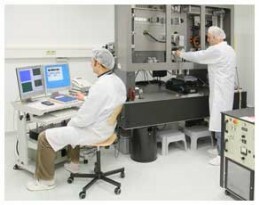 High power laser optics systems VOLCANO® and LAVA® are in operation in R&D and industry. INNOVAVENT starts operation of its application laboratories. Test exposures and feasibility studies are carried out with customers from science and industry. In July 2004 the company becomes a subsidiary of JENOPTIK AG. Innovavent GmbH is founded in Goettingen.